If your stomach is rumbling for authentic Mexican cuisine, look no further. Georgia’s Mexican eateries offer flavorful options in the more traditional variety as well as dishes with a unique spin. Plus, who doesn’t love chips and salsa? 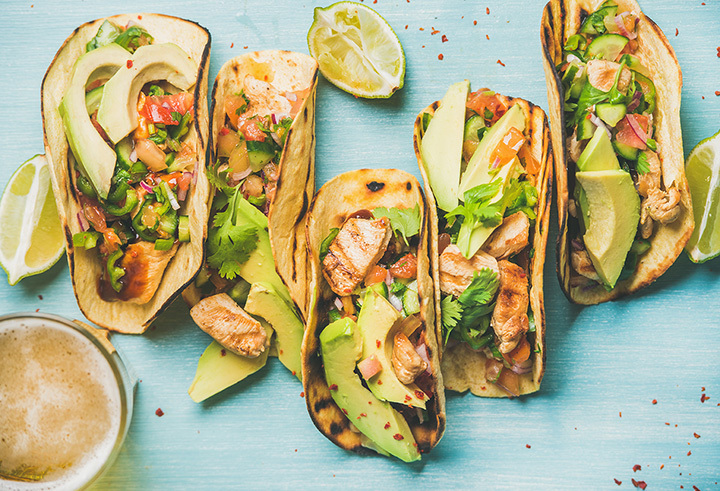 Take your taste buds on an international journey at these 10 awesome Mexican restaurants in Georgia. This little hole-in-the-wall restaurant is the picture-perfect example of what an authentic Mexican restaurant should be. They’ve got the best service in town, hands down, along with a menu that offers something for every appetite. Their attractive prices bring customers from all over, creating the total package for an exceptional experience. Every element from the outside in sets the stage for a truly authentic experience. Their full bar is serving up the best margaritas in the area, and their menu is chock full of your favorite Mexican and Tex-Mex dishes. Fans rave about this place because of the food quality, freshness, and flavor. Big city Mexican flavors are packed into this small-town eatery. Top culinary talent have made Fajitas one of the most talked about Mexican restaurants in Northeast Georgia. They branch away from standard finds to help their customers expand their palates with bold flavors and creative meals that are far from ordinary. It’s an experience from start to finish, and you’ll be glad you took advantage of it. This award-winning Mexican restaurant is a fan favorite for a reason—they’re simply the best at what they do. Fresh ingredients make the difference in their dishes, and their team is dedicated to ensuring every meal tastes as though it came straight from the farm. They’re also known for their rotating seasonal specials that ensure you never have to eat the same meal every time. In Spanish, Los Reyes means “the kings,” and this place has certainly chosen the right name for itself. They’re the kings of Mexican cuisine in the area, serving up the best tacos and margaritas in Athens. Portions are great for the price and the service is spot on—you can’t go wrong. Food quality, prices, and atmosphere make Los Cerritos a no-brainer when you’re craving Mexican food. No detail has been left unturned, ensuring you get the full Mexican restaurant experience every time you visit. If you had a hard time making up your mind on what to order, spring for the buffet and eat ‘til your stomach is content. It’s also a prime karaoke hot spot for those who want to show off their singing prowess. This Mexican food tastes so authentic you’d think you stepped across the border into Mexico itself. Their customers love the hearty portions that give them their money’s worth, along with a variety that can’t be beat. Even the pickiest eater will find something they love. Fast service, amazing food, full bar—you’ll be wanting for nothing! This place embodies everything a Mexican restaurant should be: a social hangout, a food fueling station, and an international experience. Customers love the friendly service and portions that won’t leave them hungry. Margaritas, import beers, and honest-to-goodness Mexican create combine forces to create one of the best restaurants in the area. They heavily celebrate Taco Tuesday, much to the delight of their biggest fans. Surprisingly, they’re also one of the best places around to get wings. Always on their A-game, this place is hands-down one of the best Mexican restaurants you’ll visit anywhere. From the staff to the service to the food, it’s obvious how much they care about your experience. Make sure you go for their chorizo dip—it will change your life!